Come back from Munich with the IBA Cup ! 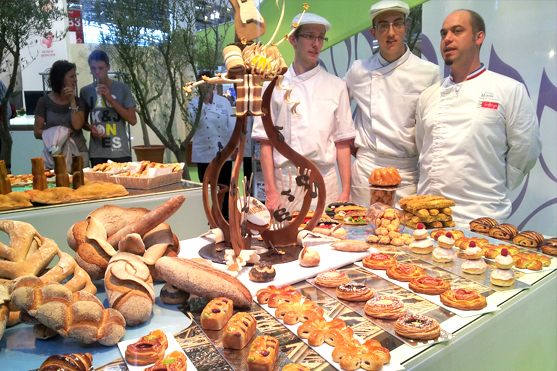 The french team of bakery, represented by Maximilien Tétard and Dylan Parent, has just won the IBA Cup in Munich ! This two youngs bakers I could prepare at INBP for the competition didn’t missed the rendez-vous and made the almost perfect buffet. The youngest candidats of competition, which occurs every three years during this International Show, are ahead of Luxembourg and Holland in the votes of the examiners board.